Cancers of the head and neck include a wide variety of diseases, such as cancers of the throat, lips, nose, mouth, voice box (larynx), and salivary glands. Together this class of cancers makes up about 3% of all cancer cases in the United States. Men are about three times more likely to develop them, and most people are older than 50 when they are first diagnosed. Most of these cancers begin in the squamous cells that line the moist surfaces inside the head and neck. 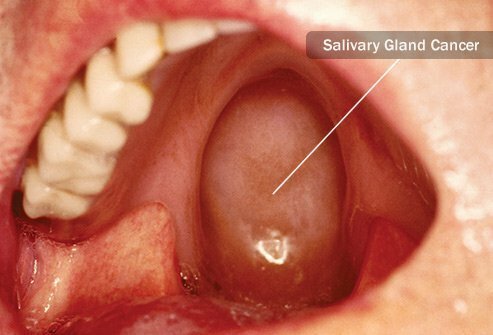 The salivary glands are another place where these cancers tend to develop, though cancerous salivary glands are rarer. What Raises Your Cancer Risk? Some things can lower your risk of contracting these cancers. These are known as protective factors. Other things can increase your risk, known as risk factors. Risk factors for head and neck cancer include using tobacco—whether smoking, chewing tobacco, or using snuff. In fact, tobacco is the single largest risk factor for head and neck cancers. If you also drink alcohol heavily, this raises your risk even higher. Other risk factors include staying out in the sun, which can lead to lip cancer, HPV infection, poor oral health, marijuana use, deficiencies of A and B vitamins, GERD, and Epstein-Barr virus infection. 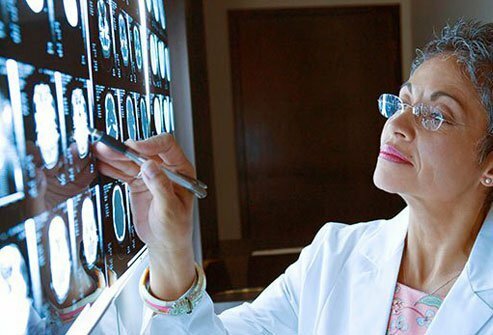 African Americans are at greater risk than whites of head and neck cancers. Those with a weakened immune system may be at greater risk. Inhaling asbestos, paint fumes, and wood dust—such as in a job setting—might increase your risk as well. Protective factors to help prevent these cancers include quitting tobacco use, abstaining from alcohol, avoiding marijuana, using sunscreen, and limiting sexual contact so as to prevent HPV infection. If you wear dentures, make sure they are a good fit, as ill-fitting dentures can trap cancer-causing agents near the skin’s surface. 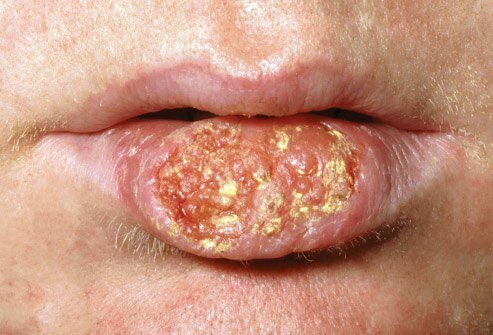 Oral Cancer is the kind that can develop on your gums or lips, the front of your tongue, the roof of your mouth, or on the lining of your cheeks. This is the most common form of head and neck cancer, with close to 30,000 new cases reported each year in the United States. 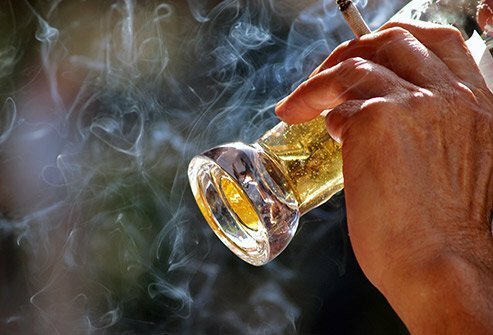 People who both smoke and drink heavily may be as much as 100 times as likely to develop these cancers as someone who neither drinks nor smokes. 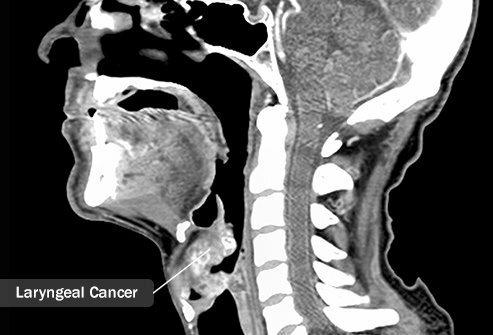 Since these cancers begin in the mouth, your dentist may be the first to discover one. And the sooner they are discovered, the better. Most of these cancers can be treated successfully if spotted early. Usually the first procedure used if your doctor suspects oral cancer involves a long, thin, flexible tube called an endoscope. 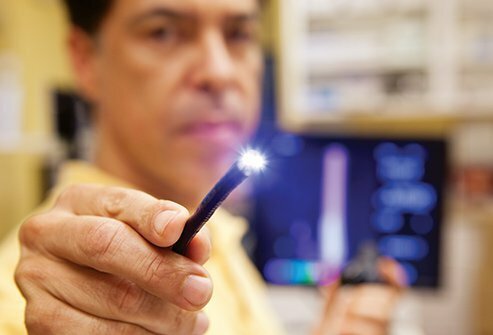 Endoscopes let your doctor get a better view of your mouth and throat. Depending on what your doctor finds during an endoscopy, you may need to provide a cell sample. By having these cells examined under a microscope, your doctor will know more definitively what health troubles you may be facing. There are different treatment types available for patients with oral cancer, with the two standard treatments being surgery and radiation therapy. 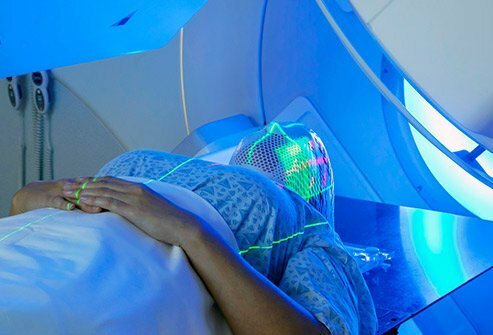 On the horizon are new therapies, including chemotherapy, hyperthermia therapy, and hyperfractionated radiation therapy in which radiation treatments are divided into smaller doses and given more than once a day. Since these cancers and their treatments may affect the way you speak, you may also be referred to a speech therapist. Your medical team may also include dentists, dietitians, plastic surgeons, rehabilitation specialists, and psychologists. If you are selected to undergo surgery, it may be used in combination with chemotherapy or radiation therapy. Surgery is meant to remove the cancer from the body. The extent of the surgery will depend on how widespread the cancer has become. Plastic surgery may also be used to restore appearance following cancer removal. High-energy X-rays and other forms of radiation can be used to kill off cancer cells or stop their spread. This comes in two forms—internal and external. External radiation therapy uses a machine to focus a high-energy radiation beam at the cancer. Internal radiation therapies use wires, catheters, needles, and small radioactive pellets to radiate and kill the cancer. 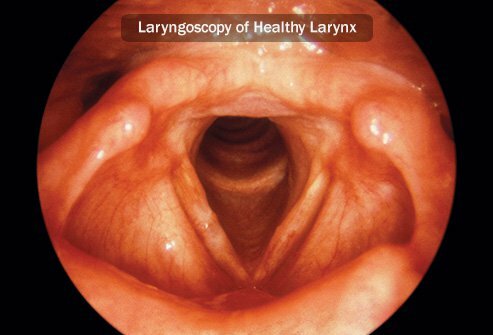 Laryngeal cancer affects the larynx, also called the voice box. The larynx is the front part of your throat that contains the vocal cords. Symptoms of laryngeal cancer include difficulty swallowing, ear pain, a persistent sore throat and a hoarse voice that does not heal. Laryngeal cancer usually forms in the thin, flat cells that make up the inside of the larynx known as squamous cells. One of the major risk factors for laryngeal cancer, as is the case with many head and neck cancers, is the abuse of alcohol and tobacco. Your doctor will start testing for laryngeal cancer by feeling the inside of your mouth using a gloved finger. This while examining your mouth with a mirror and light will let your physician know if there are any abnormal areas. Your doctor will also consider your medical history and past habits. A biopsy may also be necessary. 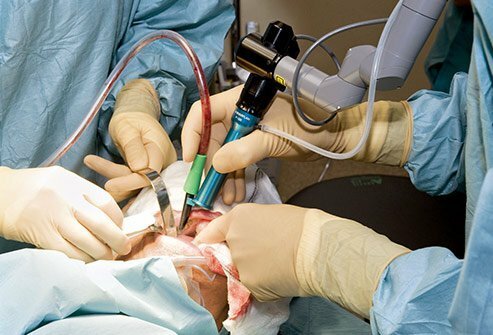 Biopsies are collections of cells or tissues that are examined under microscope to check for cancer. 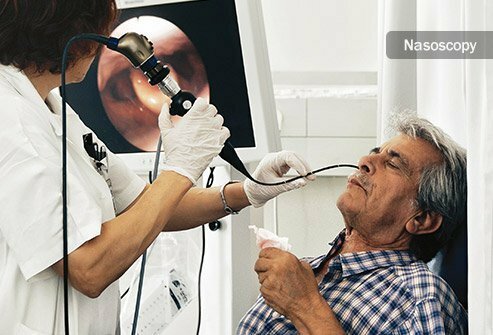 To collect a sample for biopsy, a doctor will typically use either a laryngoscope or an endoscope, which are both thin tubes used to examine the body and collect information. A variety of tests may also be employed. These may include CT scans, MRIs, PET scans, barium swallows, and bone scans. The purpose of these tests is to find evidence of cancer, such as tumors or rapidly dividing cells. How is Laryngeal Cancer Treated? As with other cancers, the type of treatment you need depends on the details of your laryngeal cancer. Standard treatments include one or more of the following: radiation treatment, surgery, and chemotherapy. New treatments are being studied for laryngeal cancer. Chemoprevention uses drugs or other substances to lower the risk that cancer will return. Isotretinoin is being looked at as a possible preventative for recurrent cancer of the head and neck. Another treatment being studied is the use of radiosensitizers. 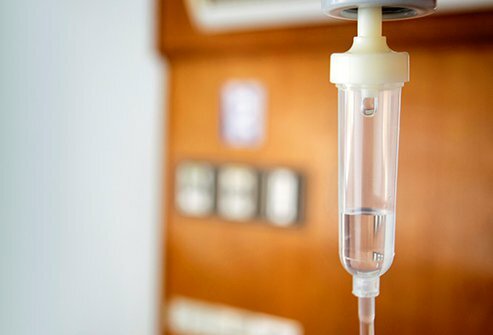 These drugs increase the sensitivity of tumor cells to radiation therapy, which may be effective at killing more cancer cells during radiotherapy. 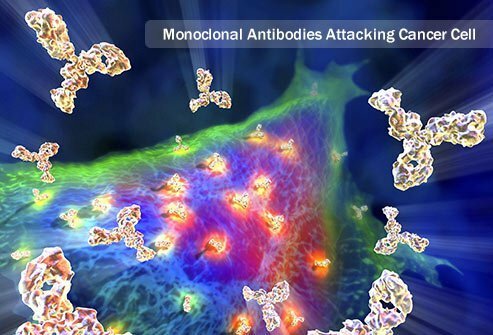 Targeted therapy can use monoclonal antibodies to target specific cancer cells and then harm or kill the cancer cells. These procedures may only be available by enrolling in clinical trials. The nasal pharynx (nasopharynx) is the top section closest to the back of your nasal cavity. 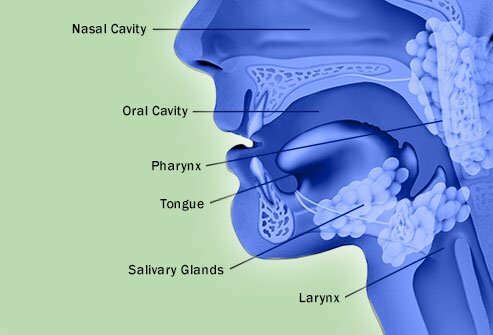 The oral pharynx (oropharynx) is where your throat meets your mouth, and is the middle section of the pharynx. The laryngeal pharynx (hypopharynx) is the bottom section of the pharynx, and helps control how much air moves into your lungs and how much food moves into your esophagus. Pharyngeal cancer refers to cancer in any of these three areas. Nasopharyngeal cancer is more common in Africa, Asia, and the Mediterranean than it is in the United States. The first step to diagnosing pharyngeal cancers is an exam that looks at how well your nervous system is working. Sometimes patients need a blood test to look out for a viral infection known as Epstein-Barr. Your doctor may also examine you for HPV, another infection that can increase the risk of pharyngeal cancer. One of various narrow tubes may be sent down your nose to give your doctor a better look at the area in question, and possibly to collect a biopsy sample. Surgery, chemotherapy, and radiation therapy may be appropriate for all the forms of pharyngeal cancer, depending on a variety of factors. Oropharyngeal cancer may also respond to targeted therapy, which directs drugs to attack specific cancer cells. This therapy tends to be less harmful to nearby healthy body tissue. In particular, patients with oropharyngeal cancer may receive monoclonal antibody therapy, which is made in a laboratory using a specific immune system cell. These can kill cancer cells, stop them from spreading, or block their growth. 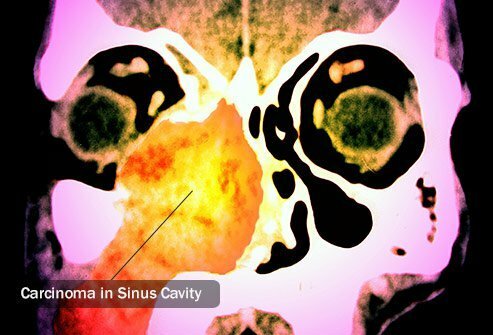 What Is Nasal Cavity Cancer? The area behind your nose is called your nasal cavity. Cancer that develops here is nasal cavity cancer. Unlike many cancers of the head and neck, nasal cavity cancer can occur on several different types of cells. These can include the muscles, connective tissue, cells that create skin color (melanocytes), and others. Certain jobs that expose you to chemicals and dust can put you at greater risk of nasal cavity cancer. These include working in sawmills, carpentry, shoemaking, flour mills, metal-plating, and furniture-making. Smoking also elevates your risk. How Is Nasal Cavity Cancer Diagnosed and Treated? Your doctor will probably start by sliding a long, thin tube down your nose that can assist in examining the nasal cavity. Your doctor may also perform a fine-needle aspiration biopsy, which is a way to collect either fluid or tissue to be examined microscopically. Sometimes X-rays and MRIs are used to get a better look at the situation. Treatments are similar to other forms of head and neck cancer, and include surgery, chemotherapy, and radiation therapy. Salivary gland cancer is rare. It affects the glands that allow your mouth to salivate. Some of these glands are behind your ear and the back of your cheek, which is the most common place for this type of cancer to develop. There are other salivary glands below your jawbone and others below the tongue. Some forms of radiation exposure may increase your risk of developing this form of cancer. Symptoms of salivary gland cancer include a usually painless lump around the ear, jaw, lip, cheek, or inner mouth. You may also experience fluid draining from your ear, difficulty swallowing or opening your mouth wide, facial numbness or weakness, or persistent facial pain. 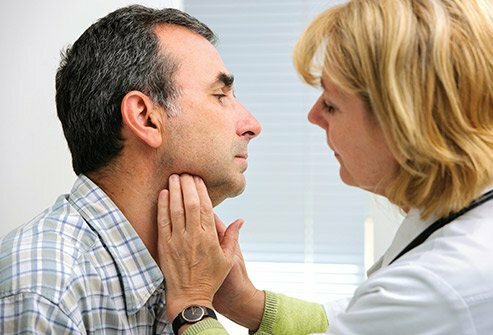 To diagnose salivary gland cancer, medical professionals use a variety of tests. These may include CAT scan, MRI, and PET scan, as well as endoscopy and biopsy. These tests are used to distinguish healthy body tissue from tumors, as well as to give doctors a better view of the salivary glands and surrounding tissue. 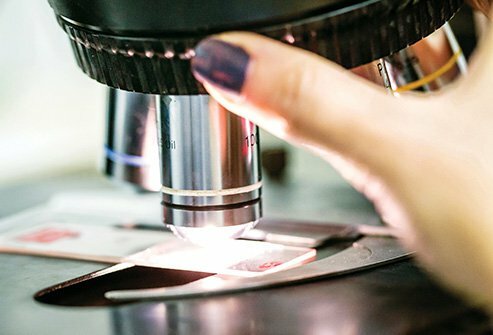 If biopsy is performed, cells are collected and later checked for indications of cancer by a pathologist. As it is rare, salivary gland cancer is a difficult disease to diagnose, so asking for a pathologist experienced in salivary gland cancer diagnosis is a good idea. What Are the Treatments for Salivary Gland Cancer? Salivary gland cancer is treated using surgery, radiation therapy, and chemotherapy. A new therapy being studied for salivary gland cancer patients involves the use of radiosensitizers, which are drugs that make tumors more sensitive to radiation energy. Surgery may require that the lymph nodes be removed as well. Even if a surgery successfully removes all the cancer, doctors may give patients radiation therapy to reduce the risk the cancer will return. Treatment given to lower the risk that cancer will return is called adjuvant therapy.